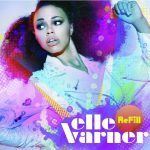 Ok fam we had a round about at GFM HQ about this one yesterday… some yea, some nay but a great convo all around on this latest from Elle Varner. I will say this(without giving anything away): I believe there was a consensus re: the ending. Weigh-in on the discussion and yes as the title states this one is def. NSFW.